There are so many things you can think of doing during Valentine’s Day with your partner and you only have to pick one or if you still have time to do some other things, you can try two. I prefer doing only one thing so that I can focus my entire attention in preparation for such. With an array of choices to make on things to do during Valentine’s Day, I think it is good to watch a concert with my partner. We love music though we do have preference in terms of genre we both are into love songs and alternative music. And right at this moment, I am trying to search online for available concert near us to book for ticket. I cannot just wait for February 14 to come for me to rush things. If I can book earlier, I will have enough time preparing for transportation, time of our meeting, clothes to wear, etc. well, these are important aspects of a “date”. If you want to know what concerts are available near you, it is important for you to go online now and see the brochure. You can make reservations online and the prices depend on your proximity with the performer. If you prefer staying closer to the performer, you will get to pay higher. But if you are that person who is satisfied with not so close position, you can pay lower price since the price of the concert area depends on your location. 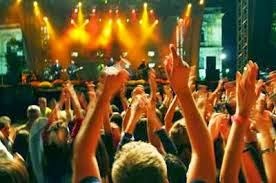 Bring with you a camera when you watch the concert in order to take pictures and record the performances. The happiest part is when your partner will get to hear her favorite song performed live by the artist. Do not hesitate to show to him or her that you are having fun. This will make your Valentine’s date more meaningful. Bring foods to eat if you can so that no matter how long will be the time you will stay inside the concert hall you will have solutions for your hunger. It pays to be prepared for this event.